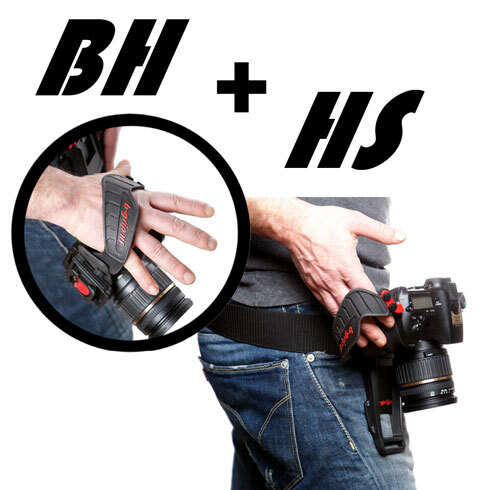 The b-grip BH belt (belt holster) is an innovative and effective alternative transportation system to the camera neck strap. 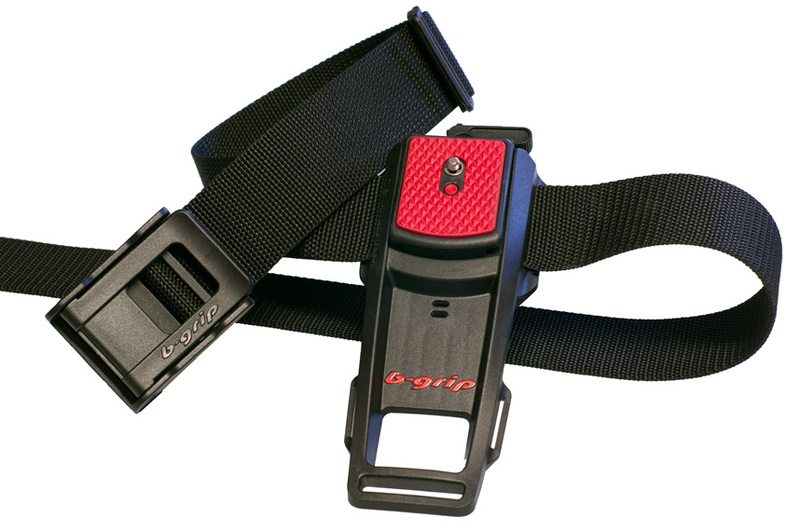 Thanks to the safe and comfortable belt, carrying the camera will be easy and comfortable. 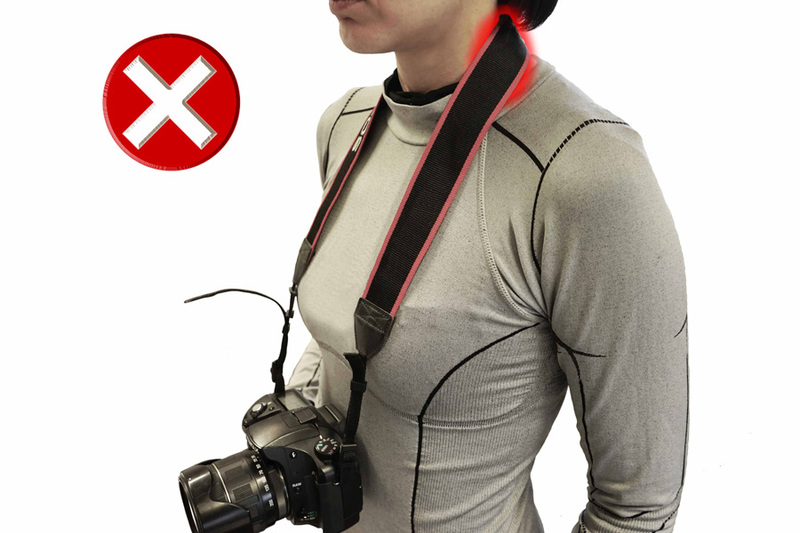 The photographer will always have his hands free and will be able to move freely while avoiding the inconvenience of a dangling camera swinging around his neck. Thanks to the WDS technology (weight discharge system), the camera’s weight is distributed over a wide area providing a perceived weight reduction of 50%. It is an amazing result for every type of photographer from the professional to the amateur. BH is comfortable and ergonomic due to its weight distribution across a wide surface. BH is a unique and universal belt carrying system covered by exclusive international patents. It is an accurate project where nothing was left to chance for optimum performance and safety. Made with high-grade materials offering sturdiness, lightness and reliability. 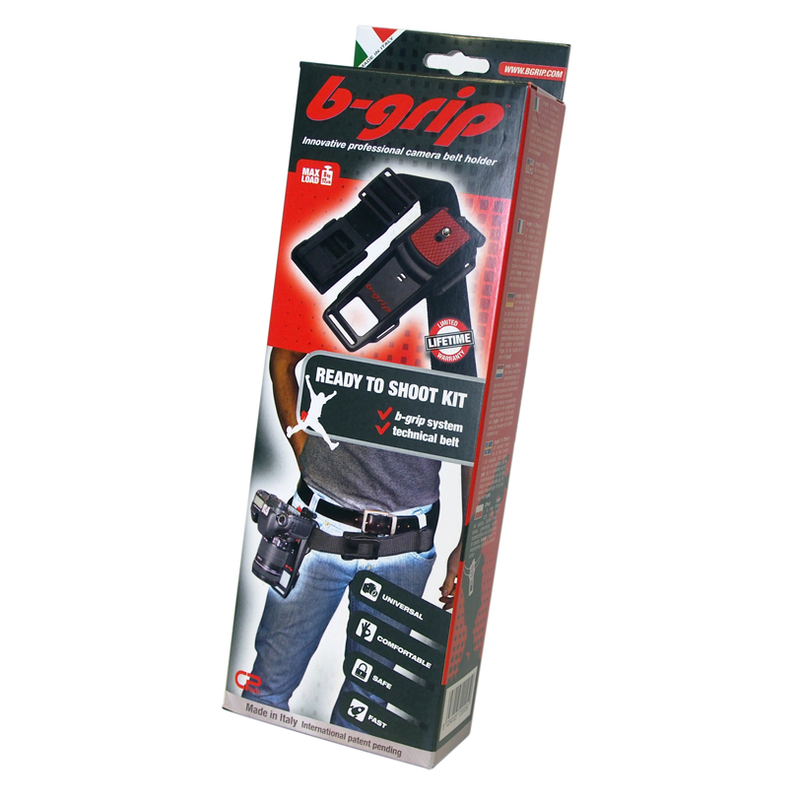 BH’s broad base distributes pressure gently while adhering to the body. 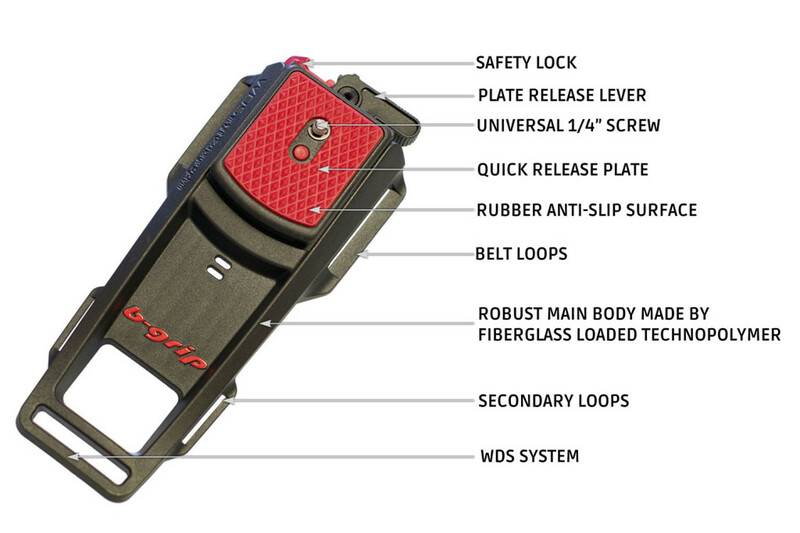 Unlike certain alternative solutions that were recently proposed, the patented WDS system allows you to comfortably fasten the belt without excessively tightening it to the body. The BH base acts as a wedge by keeping the system completely still without swinging. 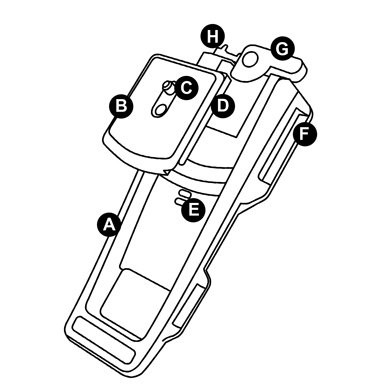 The camera maintains a perfectly vertical position and does not hit the body during movement. 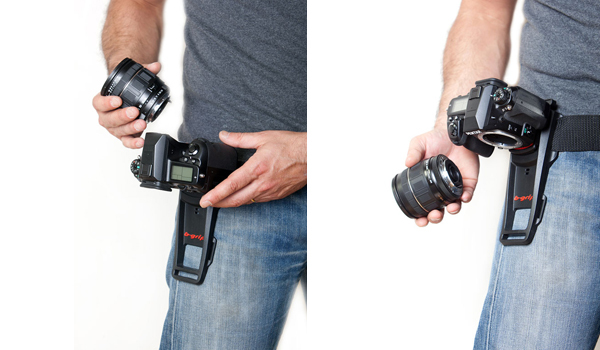 The belt is equipped with a “CAM” buckle type allowing quick and easy adjustment even while wearing the camera. 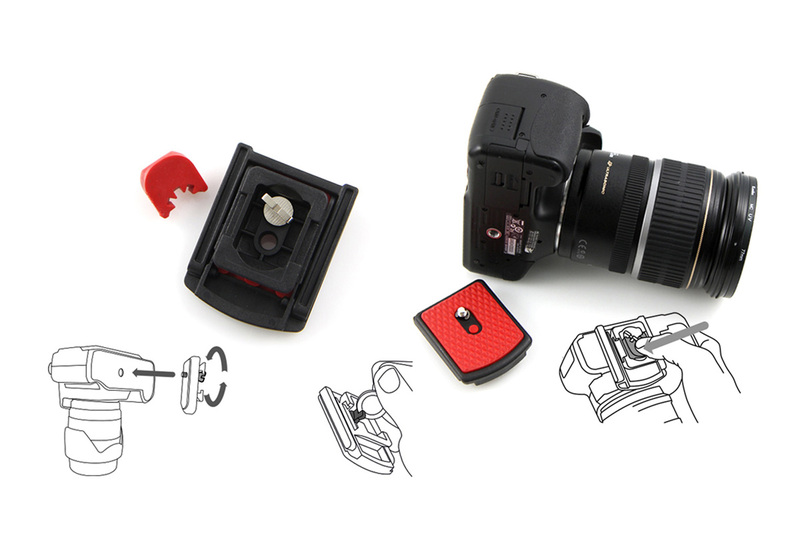 1) A soft nonslip rubber mat that acts as a brake function when pressed against the camera. 2) A clever rubber pad that fits into the 1/4” universal screw preventing it from rotating once it is attached. A additional QRP element of innovation is the adhesion of a rotating arm that transforms the plate into a support base for the camera. The camera can be placed on any surface protecting it from scratches, dirt and humidity. It is definitely comfortable in any situation. 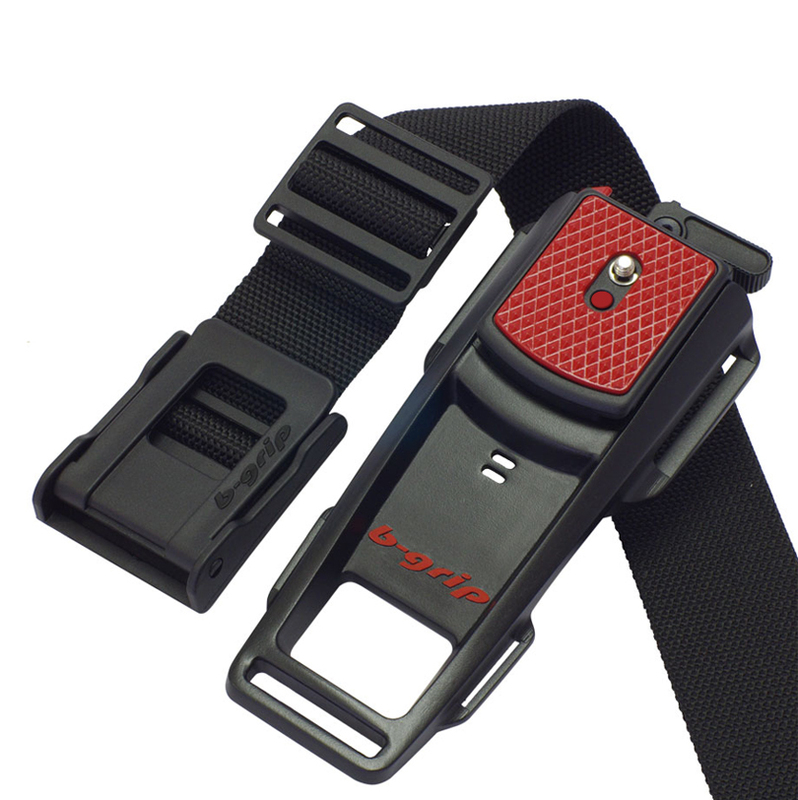 The traditional straps supplied with the camera are designed to load all the weight on your neck, a solution that is often annoying, uncomfortable and by now dated. BH is a radical solution for those who love the freedom of moving and taking pictures hands free without unnecessary inconveniences. It is perfect for the outdoors and tourism in general. It is also perfect for prolonged usage since it reduces the fatigue and prevents neck irritation. The optical lenses can easily be replaced by either pointing the sensor upwards or pointing it downwards, reducing the risk of dust contamination. Guaranteed weight capacity up to 8 kg! Advanced German material technology for maximum resistance, lightness and a well-finished look. BH is compatible with any type of camera: Reflex, Mirrorless and Bridge. 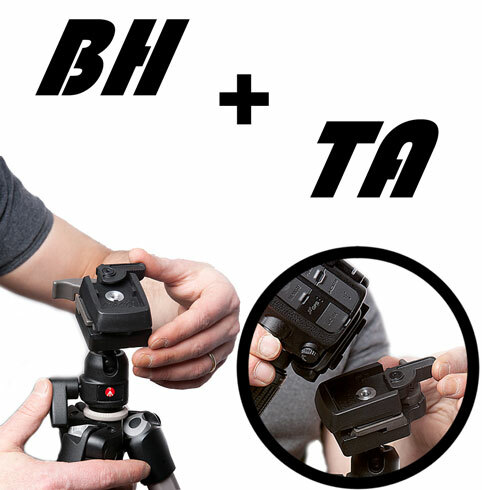 BH can be integrated with the “b-grip line” accessories such as HS (hand strap), TA (tripod adaptor) and TK (kit for attaching camera on backpack). 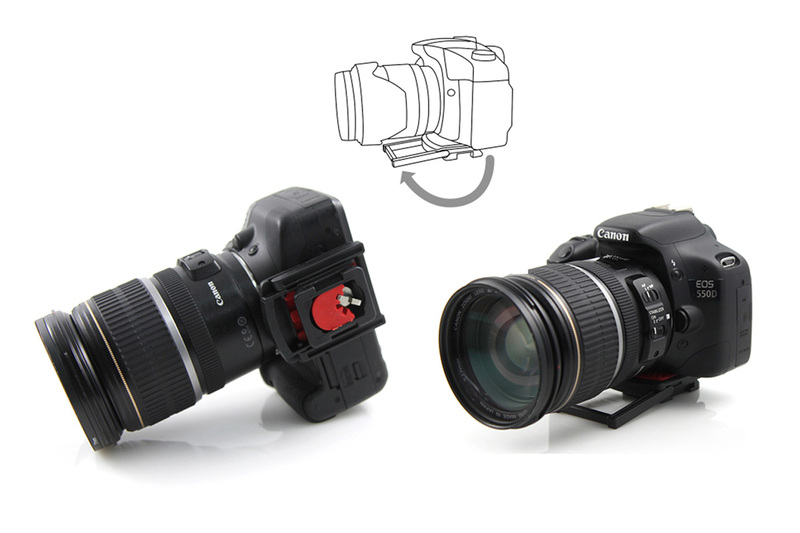 You can then combine the various accessories to create the most versatile system for your camera. 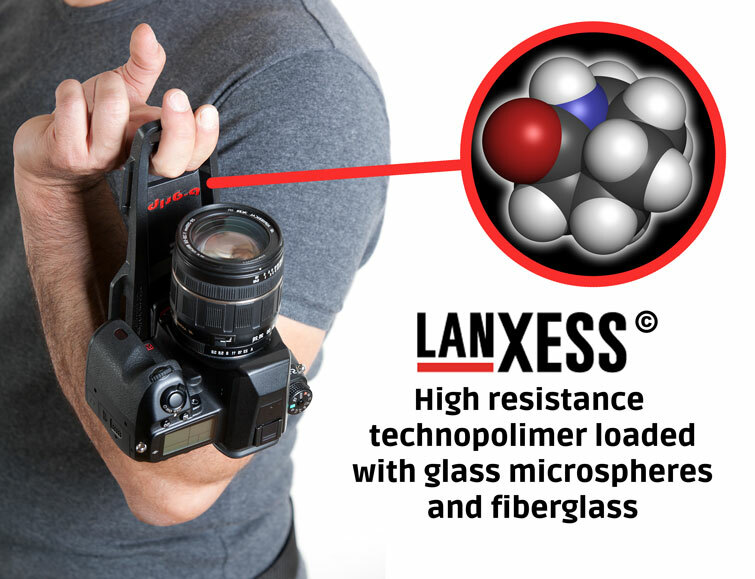 Release the camera from the BH and snap hands free with complete simplicity. HS is designed to keep an open shape for a quick insertion of the hand. It is comfortable and secure. 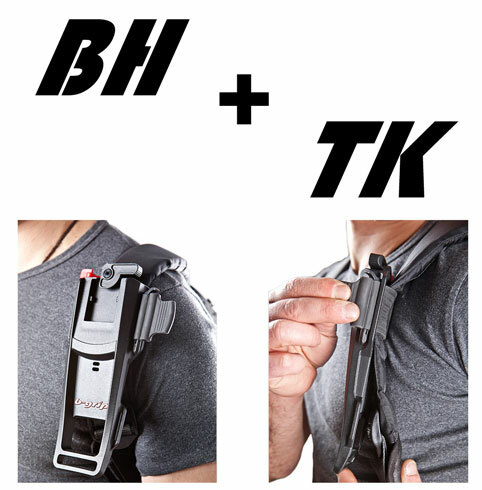 Clip BH directly onto your backpack thanks to the TK accessory. It is a comfortable configuration for hiking with a backpack. 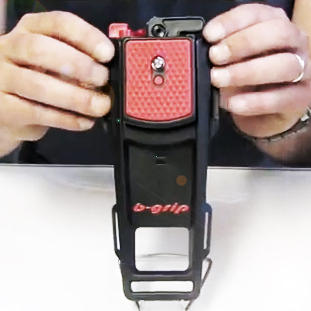 The video explains the simple mechanism that is behind this revolutionary accessory. The camera belt quickly becomes an irreplaceable companion for the most discerning photographer who will be able to release and hook the camera in seconds and use it quickly to not lose a single click!